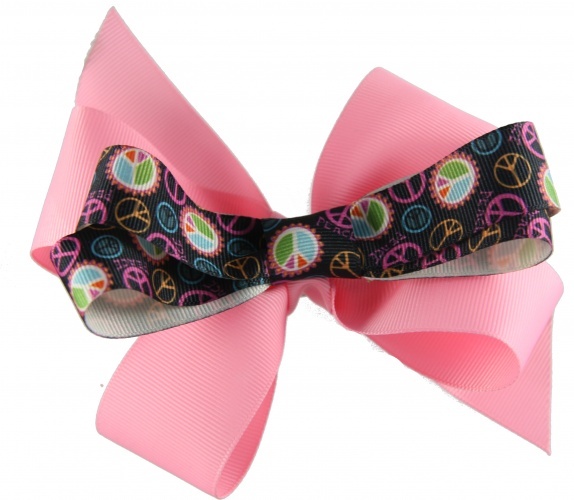 Peace Signs all over this black grosgrain ribbon bow which sits on top of a pink base bow. The hot colors of pink, orange, blue, and lime green bow with the words "Peace" are all over this bow, attached to it's own alligator clip. This top bow just slides right on top of the flat center of the pink boutique style bow.